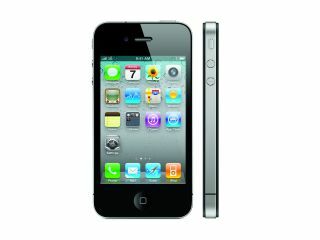 Update: now read our Hands on: iOS 5 review. Let joy be unconfined: after months of anticipation, every Apple fan's greatest wish has come true. That's right: we can finally get rid of the Marker Felt font in Notes. But it turns out that there are some other useful new iOS 4.2 features too. Here's what iPad and iPhone owners can expect when the update hits iTunes later today - assuming you're running compatible hardware, that is. iOS 4.2 is for the iPhone 3G or later, iPod touch 2nd generation or later and the iPad. If you've got a first-gen iPod touch or iPhone you're out of luck. It's not full multitasking - as with the iPhone only certain things run in the background, like uploading or music playback, while other applications simply freeze until you come back to them - but iOS 4.2 solves the problem of doing more than one thing at a time without destroying your iPad's battery life. If like us your iPad has the entire family's fingerprints on it, you'll be sick of flicking past endless icons belonging to other people's apps. Now with iOS 4.2, you can give everyone folders to keep their stuff out of your way. The iPhone's had this for a while, making its absence from the iPad really quite annoying, but at last with iOS 4.2 you can see multiple accounts in one place, organise emails by threads and open attached files in third party applications. This one's a doozy: previously, you needed to pay for MobileMe to benefit from Apple's "Yikes! Some ne'er-do-well's nicked my kit!" service. Now, though, iOS 4.2 gives you this for free. That means you can track missing kit and remotely delete all its data. One of the biggest items on the wish list, iOS finally delivers wireless printing to the iPad (and to the iPhone and iPod touch). You can now send emails, pictures or web pages to compatible printers. Support for networked printers - that is, printers shared on your local wireless network - has apparently been shelved. Apple's streaming technology makes it to iOS devices, enabling you to stream media - music, movies or photos - to compatible devices. For now that means Apple TV or AirPlay-enabled speakers, but we'd expect all kinds of AirPlay kit to put in an appearance in the coming months. If you're tired of springing across the room only to discover your bank's texting to tell you you're broke, you'll like this: person-specific text tones. Game Center makes its debut on iPad, as do iTunes film rentals (but not TV programmes), Safari gets a Find Text feature and Calendar can now reply to invitations. VoiceOver now works with wireless keyboards, iOS 4.2 can output to Bluetooth Braille devices, there are 30 new international keyboards and dictionaries for the iPad and over 50 different languages are now supported. You also get the ability to change the font in Notes. Did we mention that already?